Harrisburg, PA – In his budget proposal next week, Governor Tom Wolf will reaffirm his commitment to increasing funding for public education at all levels. Since Governor Wolf took office, Pennsylvania has made sustained investments in education, including restoring the cuts made under the previous administration, increasing the number of children able to attend pre-kindergarten by nearly 50 percent, and enacting a fair funding formula. 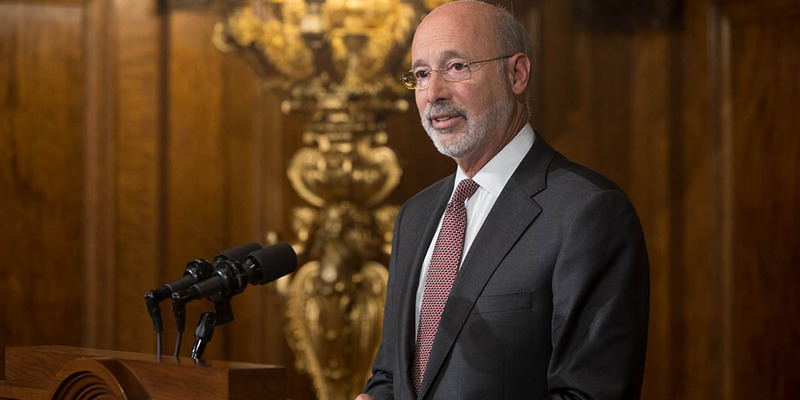 “As a business owner, I know that companies only want to locate and grow in a state that has strong schools and makes the commitment to ensuring our workforce has 21st Century skills,” Governor Wolf said. “Building on the progress of the last three years, my budget will further invest in public education at all levels, from Pre-K to higher education. Fully restoring the one-billion-dollar education cut made in the previous administration that led to teacher layoffs, larger class sizes, and program cuts. Enacting a fair funding formula that provides equitable, fair funding for all school districts. Increasing the number of children able to attend pre-kindergarten by nearly 50 percent. Increasing high school graduation rate to 86.1 percent, placing Pennsylvania above the national average. Establishing standards for computer science education in all Pennsylvania schools, joining fewer than a dozen states to endorse such standards. Increasing the number of career and technical education (CTE) students earning industry-recognized credentials by 32.2 percent and increased the number of credentials earned by students enrolled in CTE programs by 28.4 percent. Advancing Pennsylvania to third in the nation in the number of nationally-recognized STEM ecosystems and made the commonwealth the fifth largest producer of STEM graduates. Expanding enrollment in AP courses by 10 percent. Reducing the length of PSSA tests by 20 percent, condensed the exam timeframe from three weeks to two weeks and shifted it to later in the school year for students in grades three through eight.